Born out of the ashes of previous projects, Mt. 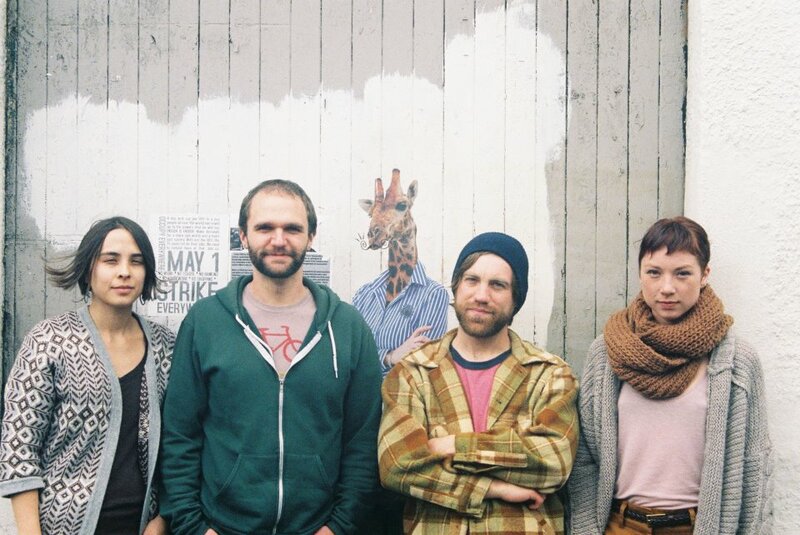 Mazama was formed in the fall of 2011 in Portland, Oregon, when drummer Andrew Harmon and multi-instrumentalist/vocalist Monica Metzler fused their musical influences into a subduction zone of sonic-tectonic harmonics. Soon after, Dan Miller collided with this newly formed land mass on the electric bass. Dasha was found last, in a region of the Siberian mountains known locally as The Press Club (Russian translation unknown), singing folk songs to the inebriated flora and fauna. With the addition of Dasha, the band felt their cosmic powers growing even stronger. Their sound can only be described as indescribable. Mt. Mazama is currently hard at work writing the national anthem for The New Republic of Cascadia.